12-12-2018 Visit our new investments platform www.groasis.investments! 17-10-2018 Read the latest update of the World Food Programme Innovation Accelerator project "Zero hunger by 2030"
27-09-2018 We have been chosen as the most innovative company in the Netherlands by the Chamber of Commerce! 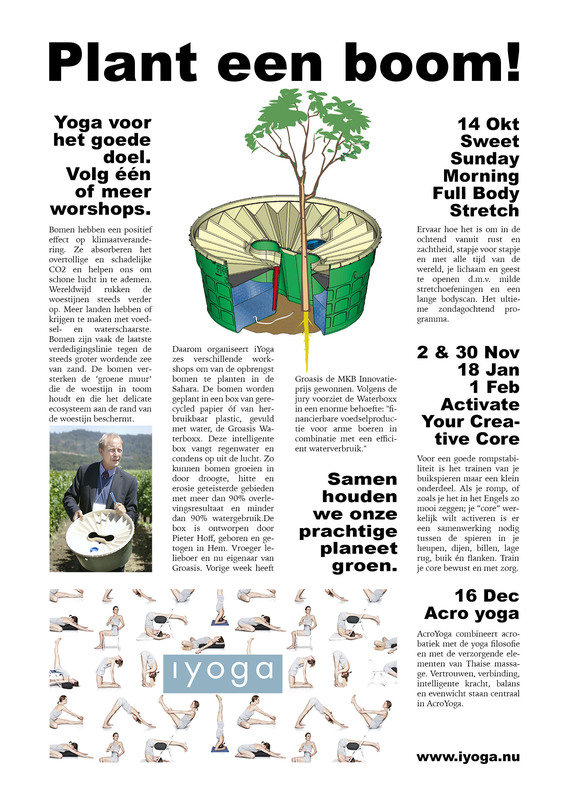 31-07-2018 Read Mr. Bax his experience with gardening with the Waterboxx in the Tri-City Newspaper! 11-06-2018 We've received a new update from the Groasis and WFP project 'Zero Hunger by 2030' in Colombia. Find out if we can help communities! 05-06-2018 We've updated the weekly report of Mr. Bill McNeese and his Juliet tomato plant! 22-05-2018 Mr. Bill McNeese is in the run for the new Guinness Book World Record of "Most tomatoes from a single plant". 30-04-2018 Read the scientific view of the Treesolution! 17-04-2018 Start a discussion with other Green Musketeers on our new forum! 27-03-2018 Click here for updates of the donation project for Christiaan Spronk! 24-01-2018 We have added a new informative brochure in Persian! 17-01-2018 Check out the first donated Waterboxxes that have been planted in the Saharan Desert! 15-01-2018 Support Dew Harvest via their new Crowdfunding page!